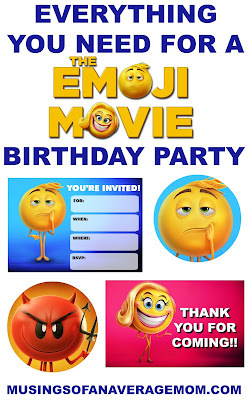 So we were watching the Emoji Movie on the android box and Lily asked me to make her a new craft. We were making tons of toilet paper roll characters so decided to make some of the popular characters from the movie. Here are the toilet paper rolls Lily made. 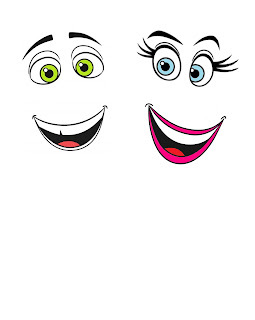 If you are artistic you can also cut out the eyes and draw the eyelashes and eyebrows on with a black sharpie. 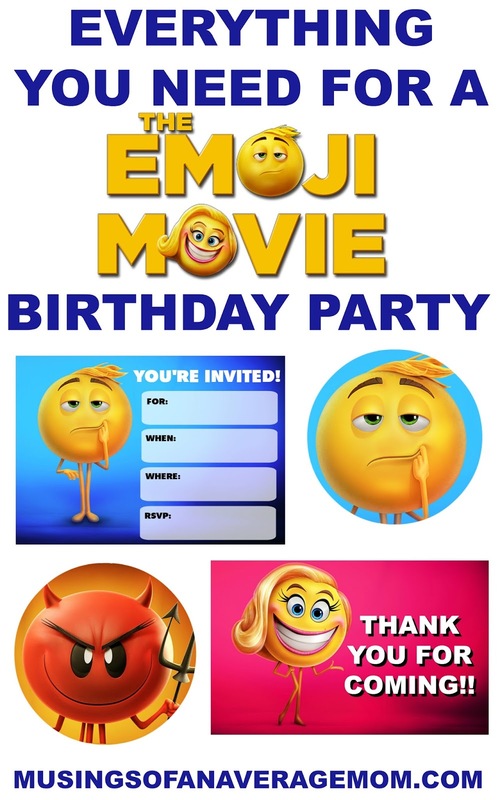 You can also create party printables with them as well. 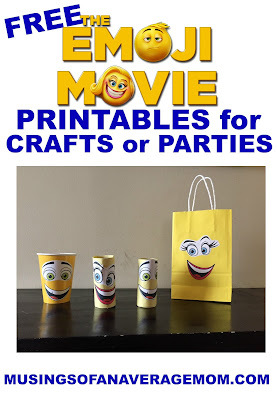 If you purchase simple yellow party supplies like cups and treat bags you can use the emoji Movie printables to create inexpensive party supplies.